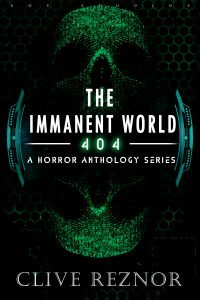 Told in six twisted stories, The Immanent World: 404 is a wickedly imaginative collection of dark sci fi and the paranormal. For fans of horror anthologies like Stephen King’s Night Shift or Clive Barker’s Books Of Blood, movies like V/H/S or The ABC’s Of Death, or TV shows like Black Mirror or Supernatural, weaving the familiar with the disturbingly dark. Get This Horror Book From Amazon. Not much is known about the mysterious new horror author Clive Reznor. His background is nestled solidly in the dark web but he has been writing about the underside of the human imagination for fifteen years. With The Apollyon Game and The Immanent World Volume 2: Cluichi, Reznor has crafted some truly twisted tales and only plans to continue creeping out readers for years to come.